Psychonauts like the many stoner comedies before it, is a comic deeply rooted in drug culture. 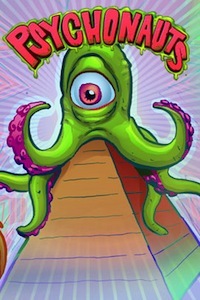 Now, while that may seem impenetrable to those among us who don’t walk on the psychedelic wild side, creator Plaid Klaus tries his damnedest to make this comic as accessible as possible. And for the most part Klaus succeeds with a beautiful blend of mind-bending, witty writing and polished classic cartoon-style art. What sets Psychonauts apart from your run-of-the-mill stoner story is simply Klaus’ ability to embrace the weirdest and most disorienting moments of a drug trip. Someone in the distance is telling us they can’t feel anything, then like a flash of lightning, we are talking with an all-seeing alien god. The alien god is talking about robots, or something; it doesn’t really matter because its over in a split second and we’re waking up in a field. What the hell just happened? 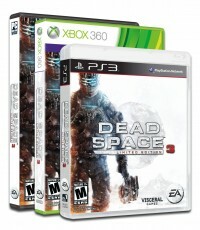 When Dead Space 3 came out, my first impressions were, for me, too bleak to comprehend. This was a franchise that held such a strong nostalgic imprint in my mind, that the idea that the latest entry could actually be just average was impossible. So I stopped playing, it was better to feign ignorance than actually confront the reality that the series was possibly losing steam. But like so many Necromorphs, Dead Space 3 slithered and hacked its way into my subconscious where it hung like a grim effigy reminding me that I betrayed one of my most beloved series. So, when the opportunity to review this third installment came along, half to ease my guilt and half out of curiosity, I took it. If you’ve been following the most recent relaunch of Katana penned by Ann Nocenti, then you’ve probably noticed the baffling cultural stereotypes. Nocenti writes Katana in a way that pays little to no respect to her main character’s Japanese cultural heritage. All of this is to say that in comics, cultural diversity is not always treated with total delicacy and most of the time just ignored for something a bit more European. 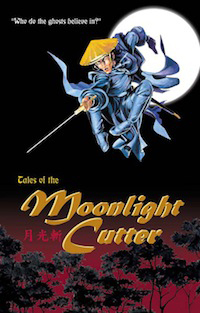 It’s because of this reason that Tales of the Moonlight Cutter is such a refreshing comic series. As far as action comics, Tales is pretty standard business — a mysterious warrior travels through 12th century China destroying violent spirits with a magic sword that can put vengeful ghosts to rest. It’s nothing groundbreaking, however, what does make this book shine is that way in which creator Dale Berry treats the culture surrounding ancient China. They say it takes a month to really get to know someone (okay, no one really says that, I just needed to set up this review, okay?). After a month, with any luck, all the quirks and vices that drive us to love or hate someone have began to bubble to the surface. It’s from there that we decide whether to keep the relationship going or not. Streaming anime network Neon Alley and I have been courting for the past month, and I have got to tell you: things are looking good. Neon Alley works like no other streaming anime service out right now. Unlike Crunchyroll or Hulu, Neon Alley runs exactly like any cable network with a full slot of programmed shows airing with episode one. It’s a novel idea that harkens back to the days of Cartoon Network’s Toonami. Okay, a television network that plays all anime, not that special, right? Wrong, dead wrong [says while pointing an accusatory finger]. I’ve read webcomics about time travel, space ninjas, rampaging monsters, elves, orcs, Einstein, and heartbreaks. The Web has presented comic creators with an interesting new landscape. Tumblr, WordPress, and everything in between have guaranteed that if any aspiring creator makes a comic, it will get digitally published. Whether anybody reads it or not is a different story. With this new creator-owned digital dynamic, webcomics and the ideas supporting them are, pardon the adage, a dime a dozen. This means the introduction of webcomics obliterated any preconceived notions behind the theory that there is such a thing as an “original idea.” It’s all been done before, detectives with drinking problems, goblins who like to knit, we’ve seen it all and our attention spans are ever-dwindling. 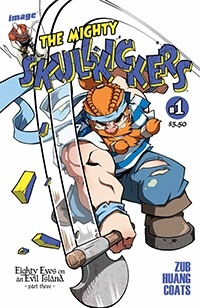 So, now the question is — how does a webcomic really stand out among the tidal wave of daily digital comics? 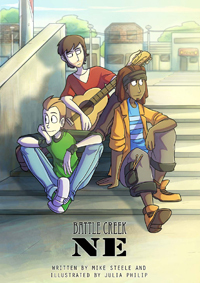 The answer, as Mike Steele and Julia Philip have shown with their webcomic Battle Creek, NE, is character; good ole fashion character. Okay, I have to be honest. When I was assigned to start reviewing Shonen Jump, I had much catching up to do. One Piece is on chapter 698 and Naruto is deep into its 600s as well, not to mention, there is a ton of manga in here that I am wildly unfamiliar with. That being said, I have taken up the arduous task of catching up on these manga, full-time job and personal hygiene be damned. I am still working on getting my knowledge of current storylines completely up-to-date. So, bear with me if I forget to mention that someone is the brother of the widow who was once a demon but is now a soccer player, or something like that. 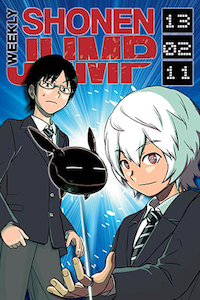 Now, without further ado, let’s dive into the recent Shonen Jump (confetti falls from the ceiling, somewhere in the distance a dragon roars). The toughest part of reviewing anything whether it’s comics, movies, or games is removing yourself from the equation. A piece of art can be beautifully filmed or masterfully composed and some people will still simply not like it. In the news recently, Quentin Tarantino’s films are often viewed as masterpiece-level material. However, his dialogue-heavy, blood-soaked cinema just might not sit well with some people, and that’s okay. What we love is very much defined by our personal tastes for violence, comedy, and drama. That long-winded tangle of words is of course an introduction to Todd, The Ugliest Kid On Earth #1, a book brilliant in its delivery yet ultimately not for everyone. This is a comic jam packed with violence, debauchery, and every nasty thing under the cruel and indifferent sun that inhabits the world of Ken Kristensen. 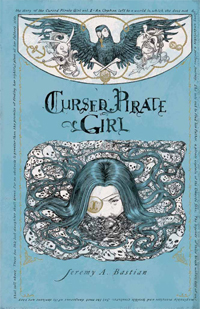 I’d been told about Cursed Pirate Girl for a long time before I actually picked it up. The thing about the comic that was brought up again and again was the artwork of Jeremy Bastian. It was always explained to me as a style of comic art that was unlike anything on comic shelves. Finally, after reading Cursed Pirate Girl, Vol. 1 I can confirm that Jeremy Bastian is one of the most gifted artists working in comics. However, art isn’t Cursed Pirate Girl‘s only sticking point. Within the pages of this book is one of the most well-written and thrilling adventure stories of 2012. Oh boy, I’ve been waiting for the arrival of this book for a long time. From the moment I turned the last page of The Strange Talent of Luther Strode, I’ve been hungry for more blood, guts, and general mayhem. Well boys and girls, it is finally here. 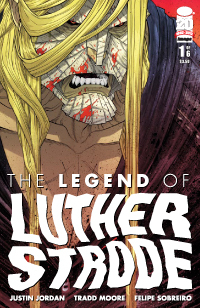 Fresh off of the Image presses, dripping with blood, The Legend of Luther Strode #1 is finally here. Now, the obvious next question is: was it worth the wait? Before we dig up an answer to this loaded question, let’s consider the past and present of the Luther Strode comic book franchise. 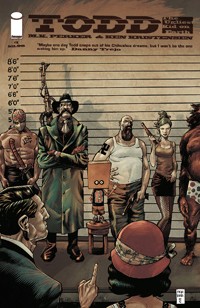 At the time of its release, The Strange Talent of Luther Strode was a highly acclaimed book, which revitalized the dog-tired superhero origin story genre. Writer Justin Jordan and artist Tradd Moore created a new superhero story that rejuvenated the public’s interest in the typical high school student turned super person story. Think of it like Peter Parker baptized in the collective blood of every drug deal and arsonist who ever raised a hand to the innocent. Needless to say, The Legend of Luther Strode had a lot to live up to.